Do consumers still get confused when they see a URL without a .com (or other traditional extension)? Probably — but I don't think anyone really knows the answer to that from a global perspective. What I do know, however, is that it's important for those of us in the new TLD industry to help our brand customers ensure that we're providing audiences with the best possible chance to identify new domains as legitimate web addresses. One question that frequently arises in our conversations with .brands is about just how to represent .brand URLs to maximize audience understanding, recall, and action when used in advertising or promotional material. The short answer is that there are a number of ways to represent .brand domains, each with its own advantages and challenges — and the best fit is based upon the media in which it will be displayed and the action you want your audience to take. So let's have a look at a few of the options that we've seen to date and see if we can uncover what the best option is for you. Traditionally, use of the 'www' was seen as the preferred method to ensure that the audience identified the text as a domain name. Many will also recall the http:// also being used interchangeably in days gone by. As browsers have improved over time, the requirement for users to type the 'www' and/or the 'http://' has been eliminated and thus, many advertisers simply use the simplified domain in their creative these days. When it comes to advertising new .brand URLs however, many have reverted back to the use of the 'www' to help train audiences that this is, in fact, a legitimate web address. This avoids confusion in situations where 'dots' are used as creative devices rather than functional elements of a domain name. 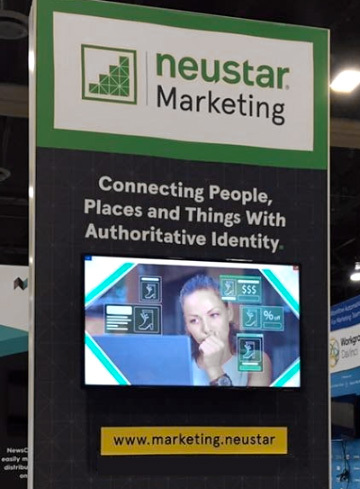 For example, Neustar has opted to include the 'www' wherever possible when using its .brand. As discussed above, using 'http://' is a slightly more outdated version of the 'www' option but does establish well-understood URL elements to illustrate that despite the unfamiliar extension, this is a real domain name. Again, not required in browsers any longer, but potentially seen as outdated a little more than the ‘www’. This option eschews any prefix and instead focuses on the domain itself. Some brands have made a conscious decision to support this option, most likely seeking to reinforce the simplicity of the 'something.something' vernacular that new TLDs provide as memorable options for the end user. Whilst many have chosen to have the www record created but focus on the domain only labels in advertising, some have gone further and not even created the www record. 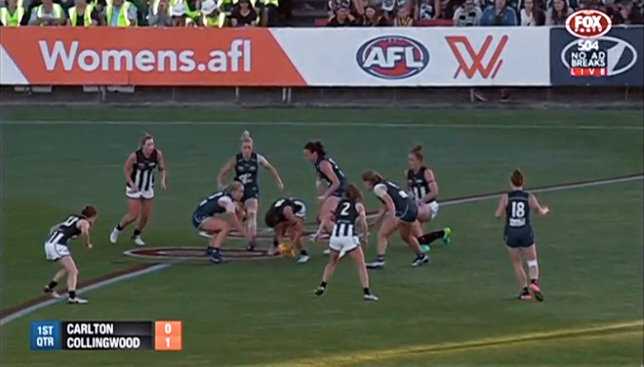 To illustrate, the Australian Football League's women's competition site is accessible from www.womens.afl and womens.afl — yet the promotional signage on the stadium shows just womens.afl. Works towards the long term cognitive approach desired by .brand applicants – think product.brand, promo.brand etc. Similar to the use of a phone icon to symbolize telephone number or an envelope to signify mailing address, a computer or tablet icon can be a simple, visual way to indicate that the text that follows can be typed into a browser. In the same vein as symbols, positioning the domain (with or without 'www') next to a search symbol is another way to illustrate to users how it should be treated — just type it in and go! With most browser bars now having builtin search functionality, this also serves as a double purpose for those seeking to get the user back to the browser bar. Variations of this may also include a cursor icon. While search and direct navigation by domain name have traditionally been seen as opponents, typing a domain into a browser bar achieves the same outcome of delivering visitors directly to the content and educating them that this is a quicker way to get where they want. Including a written call to action before the domain (which again may or may not include 'www') is another way to make it clear to your audience what action you want them to take. Phrases such as "find us at...", "type..." or "go to..." are commonly used in the communication of web addresses and therefore tie into users' previous understanding that what follows is a domain name they can visit. As you can see, there are many options for how domain names, in general, can be displayed in advertising, and .brand domains carry their own peculiarities relating to audience comprehension and recall. While different approaches may be preferred by different brands, there are a number of common criteria you can use to select which option works for your brand — considering your audience, your desired behavior and the medium you are advertising in. I'll address the elements you need to consider when choosing the best approach for you in my next article on this topic. Local Time: Wednesday, April 24, 2019 01:20 PM PDT – Page Load: 0.3637 Sec.